Honda GB1000 – When Honda presented its spectacular Honda CB4 Interceptor concept at the EICMA 2017, the Japanese brand generated great excitement by opening the door to a possible futuristic coffee-racer totally different from everything we had seen so far in its catalog. 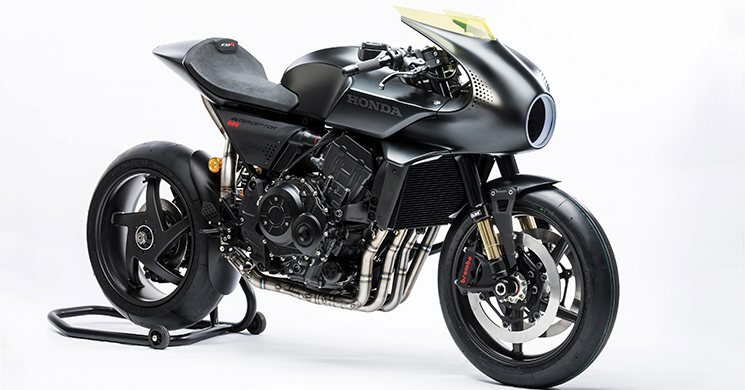 Now, two years after its presentation, the Japanese magazine Young Machine assures in its latest issue that Honda plans to launch a production model of the Honda CB4 Interceptor that could reach markets around the world in 2020 under the name of Honda GB 1000, a beautiful coffee-racer based on the latest naked presented by Honda, the CB1000R Neo Sports Cafe, a motorcycle that also boasts retro genetics. The render published by Young Machine shows a motorbike inspired by the designs already advanced by Honda with its CB4 Interceptor, betting on a double-beam chassis of new construction and an identical motor to the one that assembles the current CB1000R, a four-cylinder propeller in line with 998 cc of displacement capable of delivering 145 hp of power at 10,500 rpm. Like its naked twin sister, this GB 1000 would bet on a beautiful single-arm rear swingarm that would leave in view its striking multi-spoke rim. 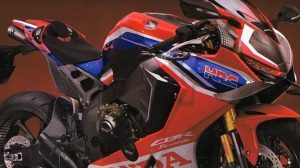 There is no shortage of the first level Öhlins suspension, the Brembo Stylema radial clamps or the Full-LED lighting of its headlight, leaving behind the turbine that Honda mounted on its CB4 Interceptor presented in Milan. Despite its seventies appearance, the GB 1000 would come equipped with a state-of-the-art electronics with all kinds of assistance and assistance in piloting, including Quick-Shifter (semi-automatic change) to go up and down in addition to some dome lights. 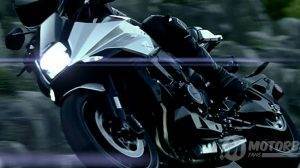 LEDs that illuminate the interior of the curves according to the degrees of inclination of the motorcycle. If Honda dares to launch this model, we could be talking about an attractive, powerful, modern coffee-racer with that ‘Neo-retro’ touch that the brand of the golden wing is giving to its latest releases. The price would move in a range of 15,000 to 16,000 euros, slightly above the current CB1000R range. 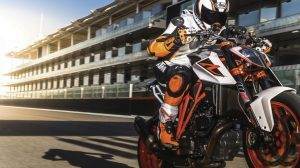 Will we see it at the Honda stand of the next EICMA in Milan? We’ll have to wait until November to find out.